A modern struggle most teachers are facing is incorporating technology into their lessons. Students now a days have not only written work to deal with from their classes, but also a slew of online assignments meant to be dealt with. One of the subjects that has struggled with this the most is math. Incorporating a computer into a subject relying mostly written work can be extremely difficult, but LaPorte has found a solution: ALEKS Math. 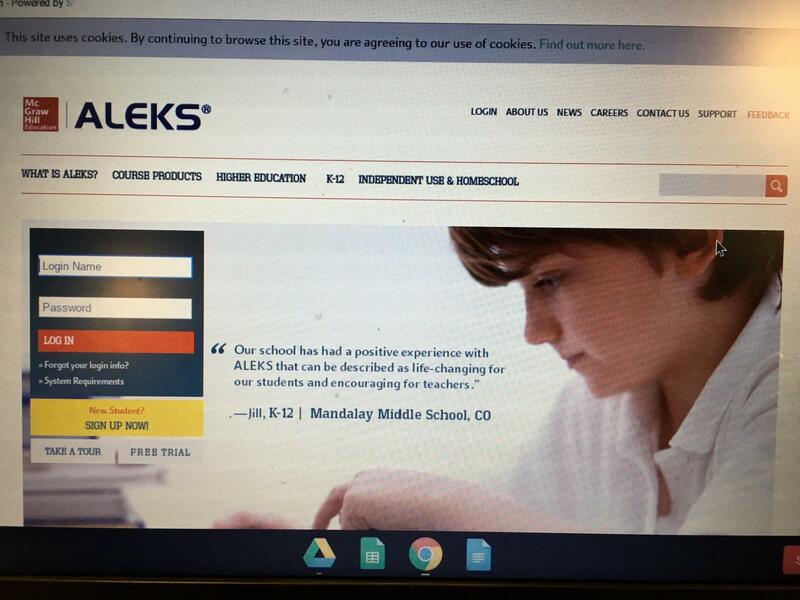 ALEKS Math is an online system that gives a student math related problems to complete. The way the system works is once students complete enough assignments in a certain topic, they will have mastered that topic. Students also have to complete regular knowledge checks that review the criteria. If one does poorly on certain subjects, they’ll have to redo them. It’s reception has been mixed with students. While some like its simple work and think it refreshes their memory, some question its effectiveness and importance. “I’d say I complete about 75% of it,” Josiah Gurrola, sophomore student, said. “I dislike it very much. It hasn’t been challenging for just student either. Teachers such as Mrs. Hamilton have found multiple pros and cons to the system. The reception to ALEKS math hasn’t been all negative though, as some students like the tasks and how it allows them to refresh on topics they may have forgotten. “I feel like it helps you to learn topics that you don’t fully understand, at your own pace, and be your own teacher,” Carter Meece, sophomore student, said. Each teacher has a different way of incorporating Aleks Math. While some like Mrs. Thuman, Geometry teacher, and Hamilton assign a number of topics a week, others such as Mr. Beres choose to assign an overall amount for the week. “We try to hit a certain number. I think this semester, for instance, there’s 322 objectives, so at the beginning at the semester we just tell students how many objectives we’d like them to get to,” Berres said. While the response has varied, it seems LPHS is adapting and changing to the demands and needs of their students in order to make ALEKS Math a helpful and successful system for the school. “I can choose the specific objective for a lesson and have students target those skills,“ Thuman said. Whether it’s on a computer, or on a piece of paper. The importance of math will never be understated and will always be constant in our lives.